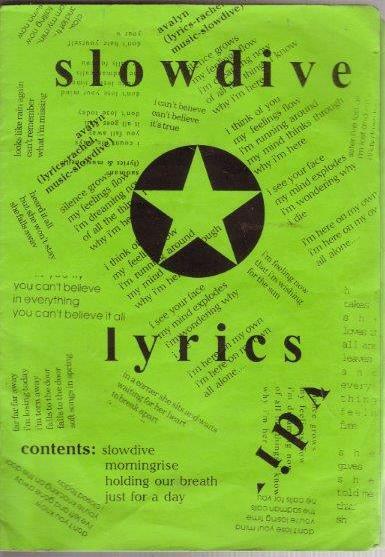 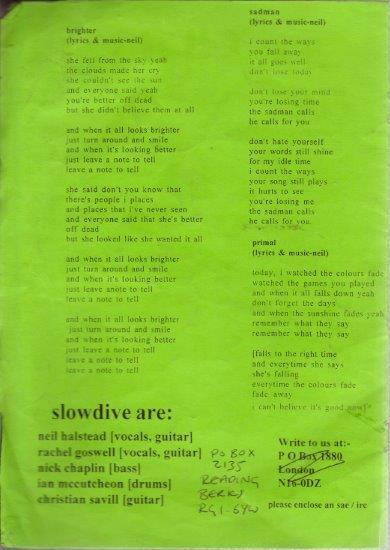 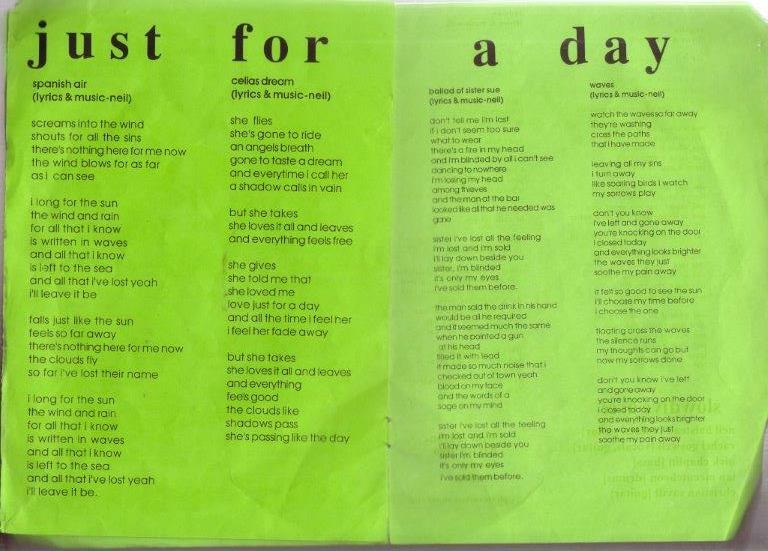 Below are some official lyric sheets sent out from the band to members of their fan club in 1994 (Note Ian McCutcheon is listed as the drummer on the back page, instead of Simon Scott). 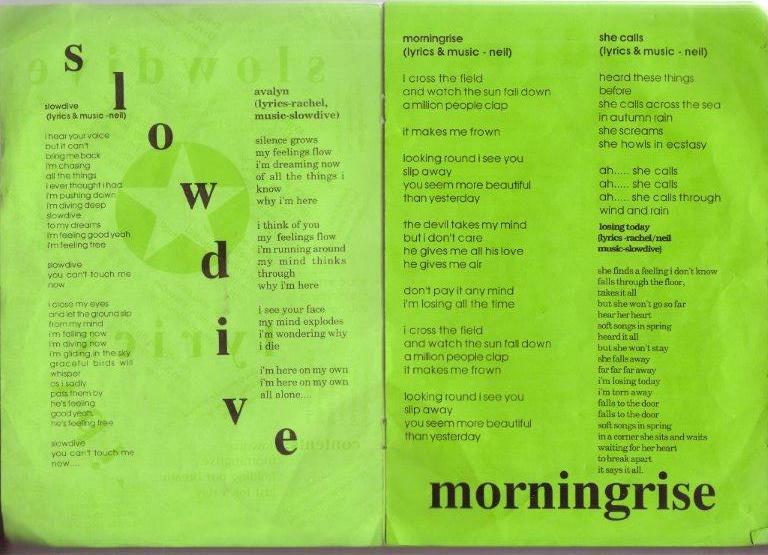 They contain the lyrics for the Slowdive EP, Morningrise EP, Holding Our Breath EP, and Just For a Day LP. 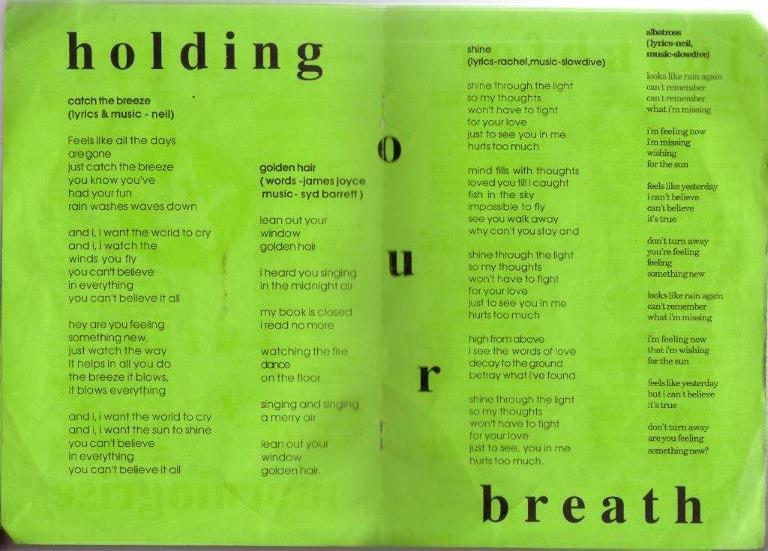 Thanks to Edoardo for contributing these scans to the site.